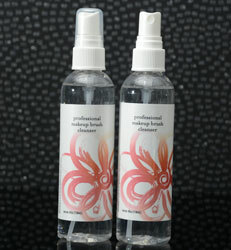 This anti-microbial and anti-bacterial fluid is used to clean brushes and eliminate all types of germs on them. This cleaner has no fragrance and color to avoid damaging the delicate bristles of the brushes. Just apply a small amount on a cotton or paper to leave your brushes thoroughly cleaned and disinfected.